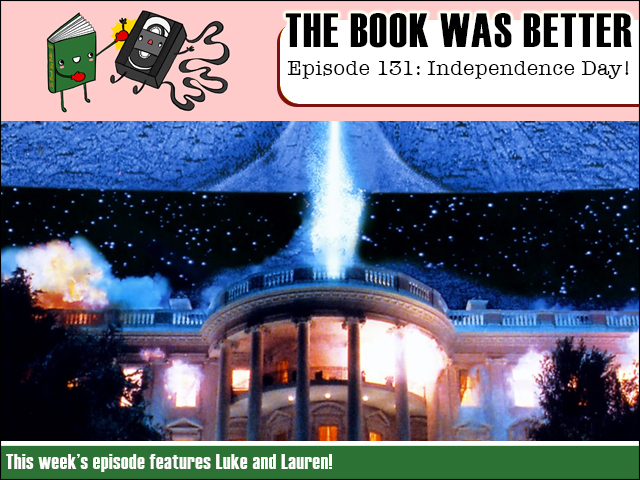 This week we celebrate the greatest nation in the world - a couple of days late - by waving our flags, shooting our guns, eating our hamburgers, and reading the novelization of the greatest America-saves-the-world classic Independence Day! And joining me on this show is an actual real live captured American, Lauren! USA! USA!